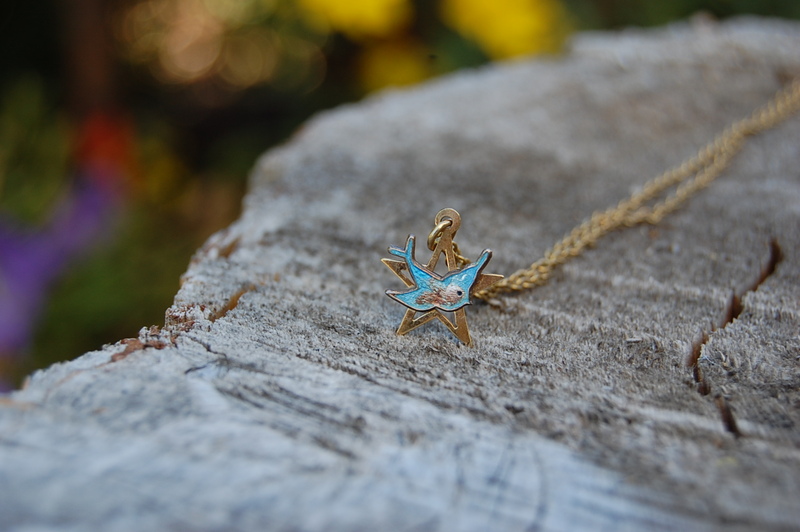 Another childhood favourite of mine was this lovely little bluebird necklace. A gift from my Nana and Grandpa. My sister Kim was given one too. Her’s was exactly the same except it was white gold, which as kids we of course just called silver. As you can see from the picture mine was well-loved. The enamel in the middle of the blue bird has chipped off. As an enamelist now I could try to fill in the chip myself, but I don’t think I would ever do that. I love the fact that the necklace shows it’s beautiful imperfections. Imperfections which are there because it’s been part of my beautifully imperfect life for such a long time.